"Just about all the information you need has been compiled in a single book. 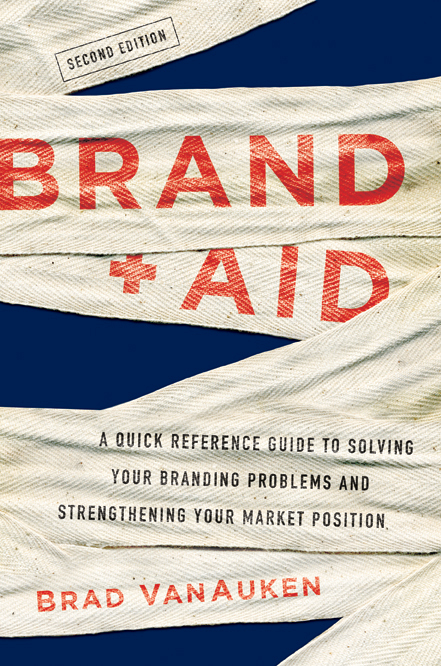 The second edition of Brad VanAuken's Brand Aid includes everything from a basic introduction to brand management to advice on leveraging and measuring your brand's success." "This book guides you through the entire branding process, from using social media effectively to linking your brand to human needs." "There are literally dozens of flags marking pages in my copy of Brand Aid. Pick up a copy, and it will undoubtedly look the same in short order. 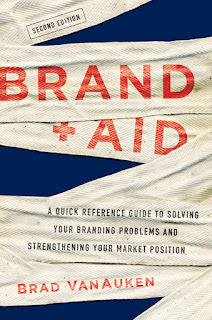 Brand Aid functions equally well as a troubleshooter for underperforming, established brands, and as a toolkit for launching new brands destined for legendary status."